We are committed to creating the finest Jewish learning environment possible. Conceive of every child as an individual neshama (soul), a unique individual and soul, and treat that child according to his or her particular needs, while affirming the ultimate importance of community. Create an atmosphere of joyful, dynamic learning that touches the spirit as well as the mind of the learner; while encouraging family participation and creation of a kehillah kedoshah (holy community). 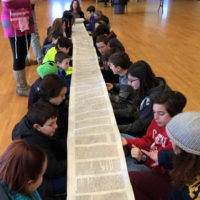 Commit to excellence and consistency in curriculum, teaching, and imparting information regarding our Jewish people’s history, literature, spirituality, culture, values, and ethics, incorporating these Jewish ideals into our everyday lives. Challenge our clergy, staff, faculty, students, and parents to live according to the highest values of our people — to treat one another ethically, responsibly, sensitively, respectfully, and fairly. Create young Jewish people who will leave our Temple imbued with a joyful and deep understanding of their Jewish identity; and who will be forever committed to living a joyous and meaningful Jewish life wherever their life-paths take them. Create a partnership between the Early Childhood Education Center and theReligious School so that the transition from one stage of learning to another fosters continuity. Is your child in Kindergarten – Third grade? Our K-3 program meets on Sunday mornings and Judaic & Hebrew curriculum, T’filah, family programs, and more. Our 4-5 grade programs meets on Sunday mornings plus one additional weekday. 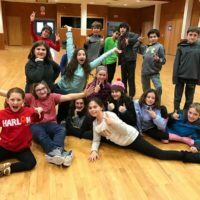 Our 6th Grade Nisayon (experience) program meets on Wednesday evenings, supplemented with meaningful Jewish experiences throughout the year, plus an optional weekly Hebrew Learning Lab. 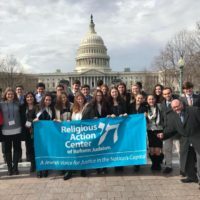 Our Judaic Curriculum starts with Torah, Avodah and G’milut Chasadim: Viewing the adolescent’s world through a Jewish lens – Our Stories, Lifecycle Rituals and Acts of Loving Kindness, plus a semester of electives. 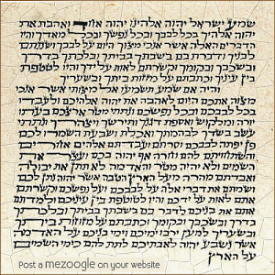 Becoming a bar/bat mitzvah is a momentous spiritual milestone not only for the child, but for the entire family. 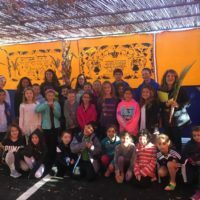 A Madrich (male) or Madricha (female) is a student who serves as a mentor, leading our students through their religious education while also following his or her own path and gaining many important skills. We offer customized programs catered towards your child’s needs. The Confirmation Program at Temple Emanu-El is designed to help our 10th grade students build community with one another, wrestle with important issues of the day, express their beliefs as Jewish young adults, and engage in tikkun olam (repair of the world). Have questions? Interested in learning more about Temple Emanu-El’s Religious School?